During your search for older truck parts you may become frustrated trying to find specifically what you need. This is especially hard since these parts are no longer made, forcing you to hunt through used inventories at a variety of locations. So where do you look for accessories for the old truck? There are some places to start that can aid in your searching. One place to start looking is right on the internet. There are alot of websites specializing in cheap parts for old cars and trucks. 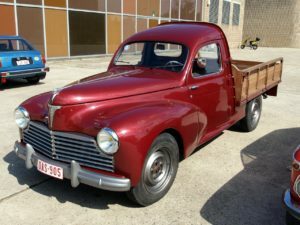 Many update their inventory frequently so you can quickly see if they stock just what you need for your vintage pickup truck. Shopping this way is convenient since you don’t have to leave your home and can have the parts shipped right to your door. Another great place to find vintage truck parts is at your local junkyard. This can be a hit-and-miss proposition, depending on how large their lot is and what types of vehicles have been junked lately. Don’t underestimate the importance of trying this though as you may be pleasantly surprised at what you can find. This is also probably the cheapest method of finding old parts for any type of vehicle. You can also visit truck shows and talk to the many vendors that sell products there. These people will travel from all over the country trying to sell their most popular items. You may not find the exact part you are looking for, but someone will certainly be able to get it for you. The contacts you can find here make it worth the price of travel and admission alone. And alot of them will specialize in specific makes. Finally, you can look through newspaper classifieds or swap sheets. This is another good method to locate older items for your pickup, but finding what you need is more luck than anything else. If the used parts section of the paper is large and has alot of readers, the selection may be greater but you still are hoping someone will have the exact year and model you are looking for. But similar to shows for trucks you may find people placing ads for old truck parts in general. When you contact them they will surely know how to locate what you need. That makes this method a viable option as well. No matter what year or model your truck is somebody surely has parts for it. It may take work on your end to find them, but rest assured they are out there. Restored vehicles are a large part of today’s culture. This insures that there are many vendors out there stocking just what you need. James McDonald writes for www.yourtruckaccessories.com where you can locate high performance truck accessories for a variety of makes and models. We strive to provide information and choices to help you out.